We report on coherent spatiotemporal imaging of single-cycle THz waves in frustrated total internal reflection geometry. Our technique yields images of the spatiotemporal electric field distribution before and after tunneling through an air gap in between two LiNbO3 crystals. 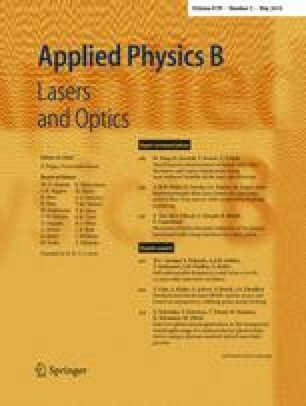 Measurements of the reflected and the transmitted THz waveforms for different tunnel distances allow for a direct comparison with results from a causal linear dispersion theory and excellent agreement is found.